BETHLEHEM, Pa. - The event was shortened from 36 to 18 holes. Monday's opening round wasn't completed due to rain making the course unplayable. The players who didn't finish Monday had to wait until Tuesday morning to get back on the golf course, not knowing what conditions awaited them. But despite all of those changes to the original plans for the 25th Pennsylvania Middle-Amateur Championship, at the conclusion of the event, there was a familiar name holding the trophy. Saucon Valley Country Club's own Matthew Mattare finished at 6-under par 66 on his home club's Weyhill course to win the championship, which was presented by LECOM. The first part of his thought process was proven true as he rolled in the par putt to get the momentum going. He did miss a five-footer for birdie on No. 11, but on the following hole, he made his first birdie of the day. "I made a nice little seven foot slider there," Mattare said of the 569-yard par-5 12th hole, which put him at 4-under par for the round. That put him at 6-under par for the round. Wil Naylor of Applebrook Golf Club had the clubhouse lead after firing a 4-under par 68 on Monday. Knowing that he had a bit of a cushion, Mattare focused on a pair of key tee shots down the stretch. He started strong with a nice poke on the 15th that led to a gap wedge approach and a two-putt par. On the 16th, another routine par meant he was just two away. Then on No. 17, Mattare hit another solid drive and followed that up with an excellent approach but couldn't get the putt to fall. Still, he headed to the 18th with a two-shot lead. On the final hole, a nice drive was followed by a solid approach, and despite the fact that the birdie putt didn't fall, Mattare's cushion was enough to get him to another par and hist first victory in the championship. Naylor finished second at -4 under par. Tied for third were West Shore Country Club's Clay Davidson and Old York Road Country Club's John Samaha, both of whom fired 69 (-3). Rounding out the top five was Chartiers Country Club's Erik Bertrand, who shot 70 (-2). In the Team Competition, which takes the best 2 of 3 scores for the day, Lu Lu Country Club won at even par 144, with contributions from team members Michael Brown, Jr. (71) and James Sullivan, Jr. (73). 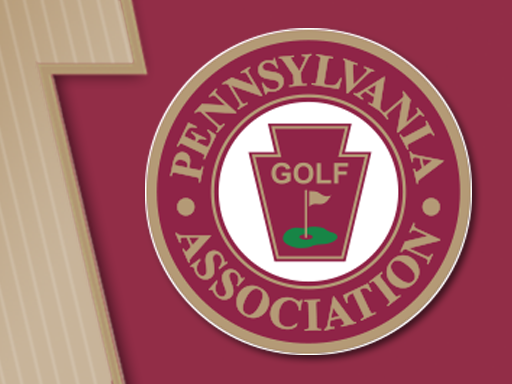 The Pennsylvania Golf Association would like to thank the staff and membership of Saucon Valley Country Club for the hospitality shown this week.